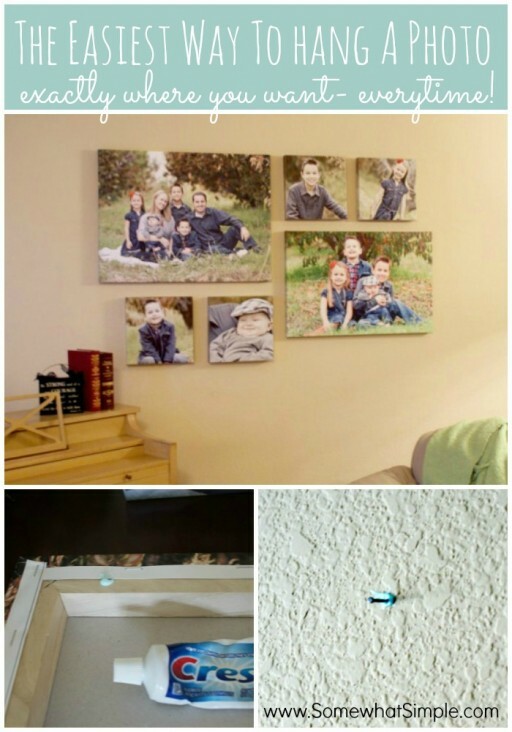 Hanging several pictures on the wall to form a collage makes very beautiful wall art gallery. But it is not easy to align pictures straight. You may get it right after few tries and adjusts, but with a few extra holes left in the wall. That’s where this simple trick from Stephanie comes into rescue. By putting small dots of toothpaste to the back of your picture where the nails would go, Stephanie was able to mark the right spots for nails exactly. What an awesome tip. Give it a try and let us know how it goes.